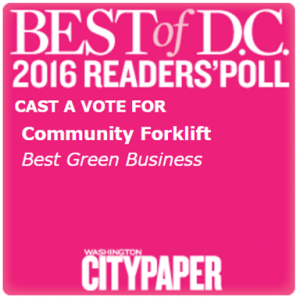 We’re in the running for “Best Green Business” in the City Paper’s 2016 contest. If we win, it means valuable free publicity for our nonprofit program. City Paper readers have awarded a “Best of DC” title to us every year since 2010. Each year when the winners are announced in the paper, the phones start ringing because a ton of new people find out about us. So please help us win it again! 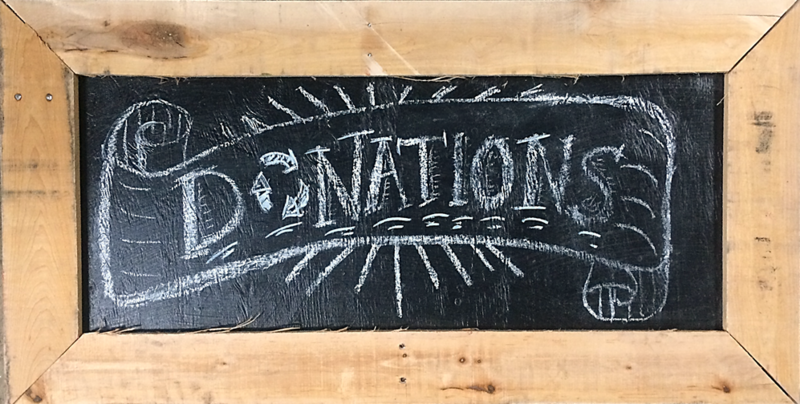 As more homeowners & contractors learn about us, more of them will donate, more materials will be kept out of the landfill, more folks can afford repairs, and we’ll be able to create more green jobs. And of course, you’ll find more fun stuff here in the store! 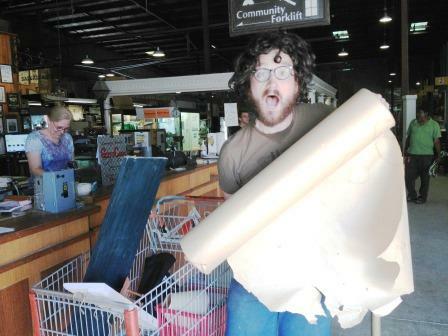 Forklift Fan Demetrius is pretty excited about everything he found. We’re so grateful for your support! The contest ends on Feb. 29th – and we’ll find out in March if we win.